For those new to PokeRev, we allow pokemorphs, otherwise known as gijinkas. This guide will give you a solid, short class in what these are, and what their abilities can be. There are 3 basic types of poke-morphs. And the easiest most efficient way to describe them is that some morphs are more pokemon than others. Some might be an even mix, some might be mostly human, some might be mostly pokemon. These all have varying types, but the main thing to note is that the more pokemon a morph is, the less human. The more pokemon abilities they might have, but the less they keep their human nature. In addition, if a morph is able and chooses to become a trainer, they may only carry 5 pokemon with them. Any more get sent to storage. Why? They are considered to be able to fight as a pokemon themselves. And if they so chose, may enter themselves into a fight as a pokemon. This means a morph may use themselves as a pokemon in a gym battle. In addition, a morph may be captured in a ball, human>pokemon require a master ball to capture. Human=pokemon and human<pokemon require an ultra ball. In addition, they can resist capture more, and can forcibly come out of balls. Should a morph be captured, all their balls immediately vanish into storage. These morphs are are usually able to hide it. 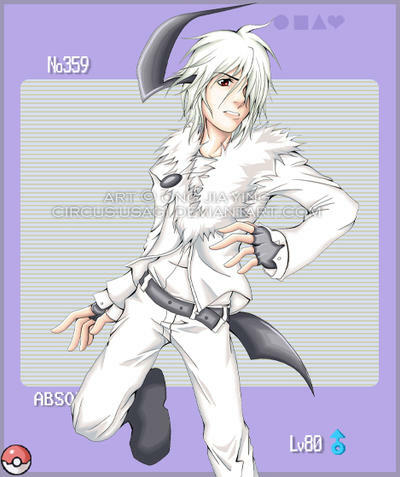 Small horns and be hidden by a hat, claws with gloves, a tail down one leg of a pair of pants. A change in the color of the eyes might be covered by contacts to hide it, or if not, be dismissed as the morph simply wearing colored contacts. Sometimes it may be hard to hide, but often physical changes can be hidden if you take logical measures. May only have one of their abilities. A Glalie might have ice-body, or inner-focus, but not both. Review the abilities guide for more information on what we have as abilities. The have the most basic understanding of what a pokemon means. Not a full understanding, but the vague gist of it. It would be like hearing someone in another langauge that you only half-way understand. "I am going to go get some icecream to eat, do you want to come too?" you might only understand "I...to...icecream...eat...want...too?" You get the main point, but not the specifics. These morphs are slightly tougher than humans, and a little more resilient. Not greatly so, but it is a noticeable amount. These morphs are able to use pokemon moves up to rank 4, and no higher. They still require the right battle rank to use rank 4 moves though. Full body alterations are available for this rank. Potentially vast anatomical changes. They might have horns, claws, or a tail like a human>pokemon morph, but might also have a full body coat of fur, legs like a pokemon. One might see a charizard morph with a tail with flames at this level, or an infernape with their hair replaced by large flames. Pidgeot morphs might have wings and feathers. The only thing that tends not to change is the basic human shape. It may be altered, like with wings or different leg anatomy, but the shape is mostly the same. Two arms, well, most of the time. Pokemon without them might have morphs without them, such as gastly or haunter. Or maybe more than two, perhaps a machamp morph would have 4. But they all stand on 2 legs, and have arms instead of forelegs. A morph might run on all 4 if they so choose, but it's not their default state. These changes make these morphs the most noticeable. They are too inhuman to hide it, but too human to pass as a pokemon. A human=pokemon morph is the most obvious kind, often by far. At this rate, 2 abilities are able to be used, and in some cases, more. (with admin permission) Anything that is part of their anatomy doesn't count. 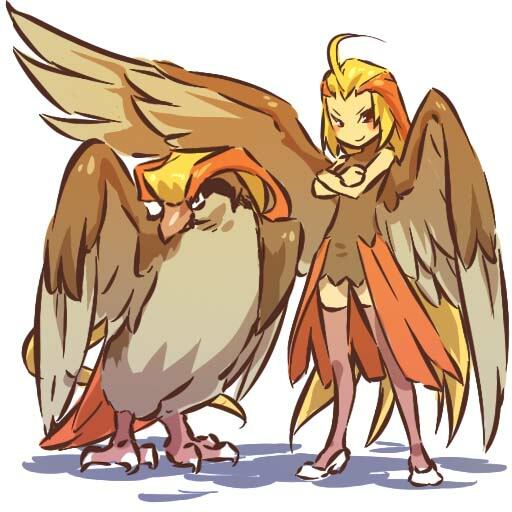 A pidgeoto morph with wings can probably fly, albeit not as fast, and a ghastly morph can levitate. What would count as an ability, would be said ghastly being able to become intangible wholly (not just being immune to normal, etc. attacks.) and float through a wall, or to make other things they are holding intangible with them. A big part of what started all the racism and hate was a dusclops morph making off with money from a bank vault. (Now banks and many hopes are shielded from that by technology.) And any rare or legendary Abilities need staff permission from 2 mods or an admin. Pokemorphs of this range may understand pokemon perfectly, with no problems getting both the main idea, and all the specifics. But like human>pokemon morphs, if they reject themselves or refuse to accept half of their being, they may have problems with this. These kinds of morphs start having large personality adjustments. A persian morph may find being stroked very pleasurable, or love to just lay down and feel the sun on their fur. Animalistic personality changes are very common, yet the core of who they are remains. This type of pokemorph may use moves up to rank 6. They also require the right battle rank to use Rank 6 moves before they can though. This type of morph has higher endurance than human>pokemon and plain humans by a great amount. They can endure pain and attacks better, but not as much as a pokemon can. These may have 2 of their pokemon abilities, and one may be a hidden/rare ability, but it must be admin approved. These type of pokemorphs are more pokemon than human anymore. Because of this, changes are far greater than with the other types. A pokemorph who is of this type can expect even greater anatomical changes. The morph might grow or shrink. 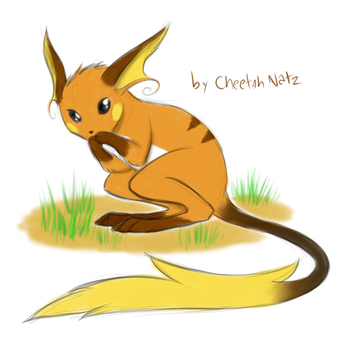 The raichu morph above is a good example. Not much bigger than a normal raichu, and bearing similar looks. This morph is a great example. Only the look of the limbs and the way it is holding them. The intelligent and shy look in the face and eyes. These are the evidence of it's humanity, hidden in a mostly pokemon body. These morphs are not as recognizable as a human=pokemon morph. Unable to pass as human by a long shot, these morphs may pass as pokemon. Pokemon are not all clones on this site. A raichu a little bigger than normal is not something rare, and reasonable color variation is common. Should that raichu morph hold itself slightly differently, it could pass as a normal pokemon. There are reports even as pokemorphs being entirely pokemon except for human human size. A sighting of a human sized caterpie morph was a big hit on the news when morphs first came about. This type of morph still retains all it's human intelligence and memories, but this can be a cruel thing, considering many can't do the things they used to love. Heck turning a doorknob can be a chore for many of them. While they are still smart, they have the biggest personality alterations of all the morphs. Many easily pick of animal traits, like loving to have fur stroked, scratching an ear with a foot, and other small things. However larger alterations are not uncommon. It is not unheard of for a banished morph of this type to, after beign ousted from it's home, end up "going native" and almost all pokemon in terms of behavior. Human intelligence and pokemon instincts can be an odd combination. These morphs are for the most part unable to be a trainer, with the exception of larger ones. This raichu morph would have a tough time carrying the pokeballs alone. That is not always the case however. These type of morphs are able to use rank 7 moves. They must have the right battle rank to actually use them though. 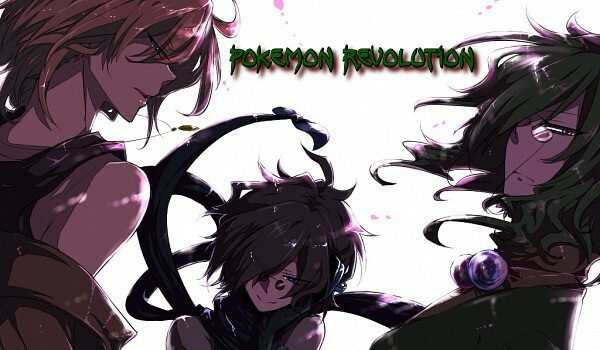 Human<Pokemon morphs have the highest endurance and resistence to wounds of any morph, closest to a pokemon. May use all their Pokemons abilities.